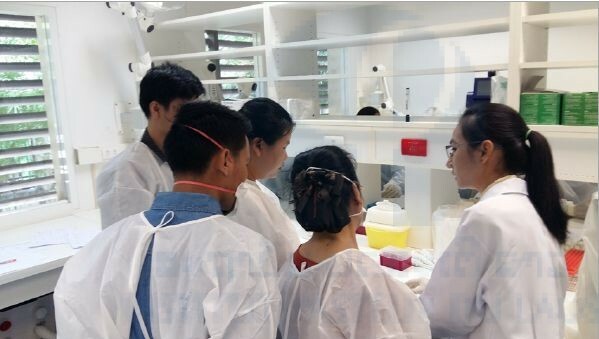 Arboshield: module 3: “Laboratory diagnosis of viral vector-borne diseases”; 26 participants from military hospitals, the Lao Army Institute of Preventive Medicine and civil hospitals divided into two sessions of one week each; 8–19th May 2018. Zika virus diagnosis: Management of the Master’s theses of four students from the National University of Health Science. Grandadam, M. “Dengue surveillance in Vientiane Capital, Lao PDR. Past, present and future.” Institut Pasteur International Network Regional meeting. Pu’Er, China, April 2018. Somlor, S. “Anticipating dengue season, 2018”. National Dengue meeting. Vientiane, February 24-25th 2018. Somlor, S. “Dengue virus serotype 4 genotypes in Vientiane Capital, Lao PDR: 2014–2018.” National Research Forum. Vientiane, September 2018 (oral communication). Tangena, J.A., Marcombe, S., Thammavong, P., Chonephetsarath, S., Somphong, B., Sayteng, K., Grandadam, M., Sutherland, I. W., Lindsay, S. W., Brey, P. T. Bionomics and insecticide resistance of the arboviral vector Aedes albopictus in northern Lao PDR. PLoS One. 2018 Oct 25;13(10):e0206387. doi: 10.1371/journal.pone.0206387. eCollection 2018.